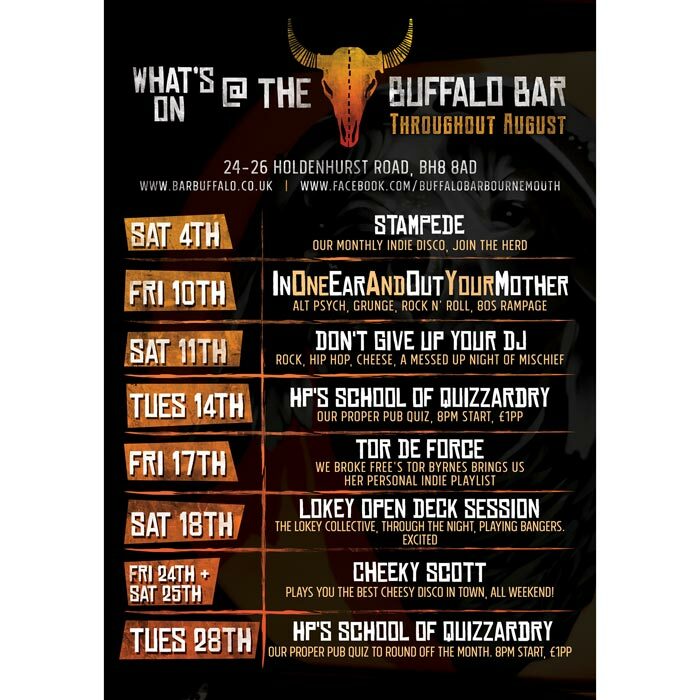 Set in the heart of the alternative scene in Bournemouth, Buffalo Bar is a unique bar with its own personality to match. The Bar boasts a large selection of drinks and a quality food menu. With the best rock jukebox in town Buffalo Bar is a must visit if you are into the alternative scene. 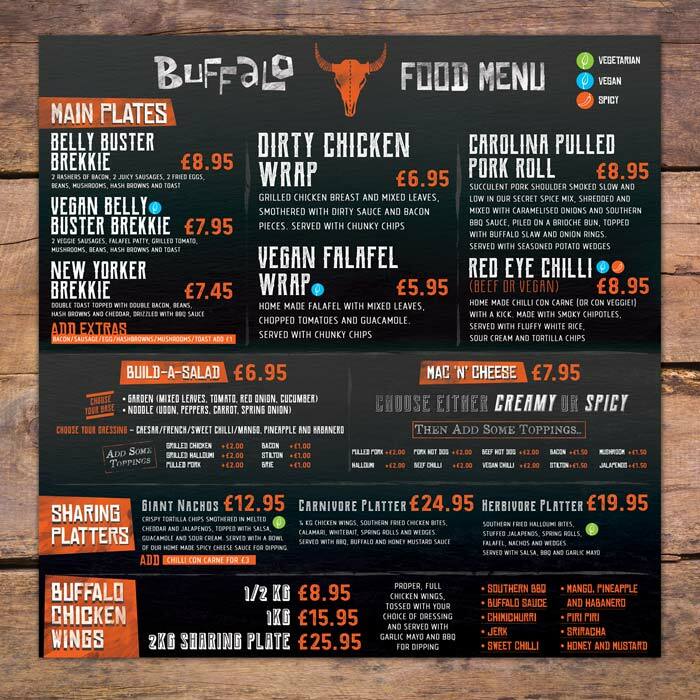 We were set the task of designing the Buffalo Bar website, including a brand new menu design and poster designs for the bar.  Using selected typography and colour, we have crafted a strong and recognisable message across all media output. A close working relationship with members of the bar staff has been a great asset to completing this project. It made the whole experience much more enjoyable. 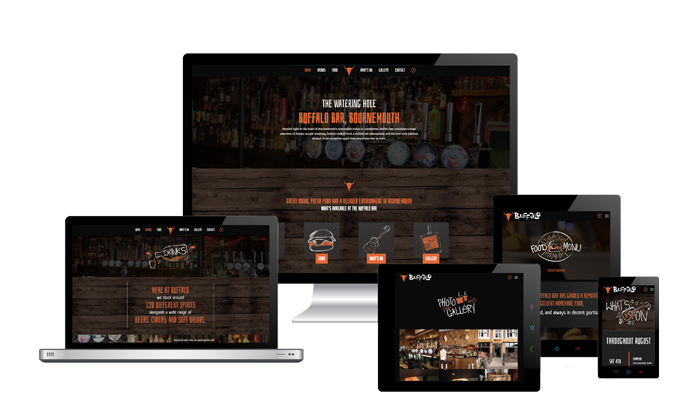 We set out to design the website to match the personality of the bar, using dark backgrounds and highlight colours from the branding to create depth within the pages. The visitor will get a sense of character when viewing each page. We created hand drawn graphics and typography to make the website unique from others in the area. This job was particularly enjoyable. 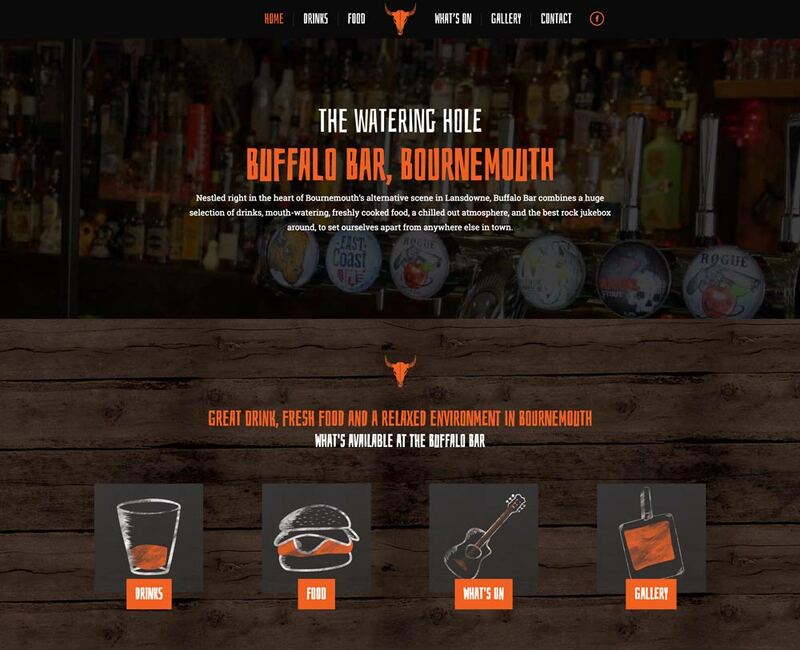 We are proud to present the new Buffalo Bar website to the world wide web. On creation of the artwork, we used certain graphics / photos to maintain the feel across all finished media. 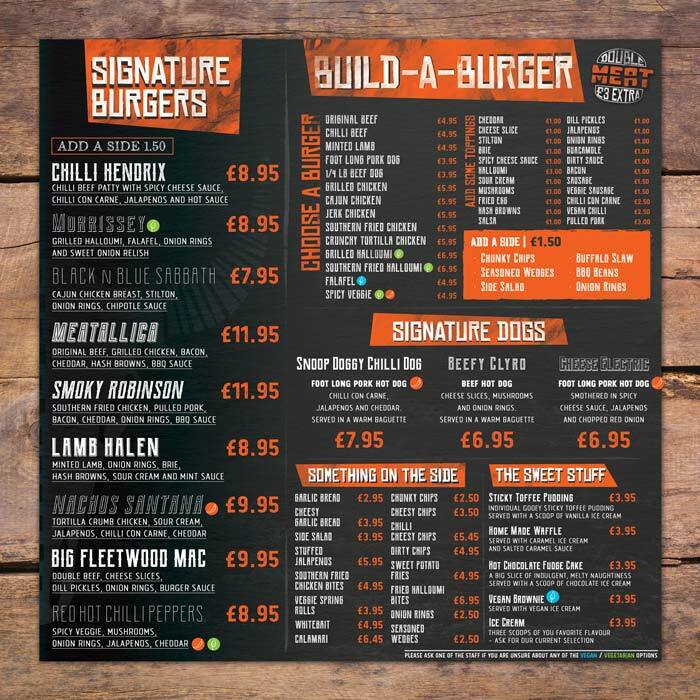 The style is grungy, the menus pack a punch and the posters shout! For our website and brand revamp Brightbox took personal, bespoke service to a completely new level. 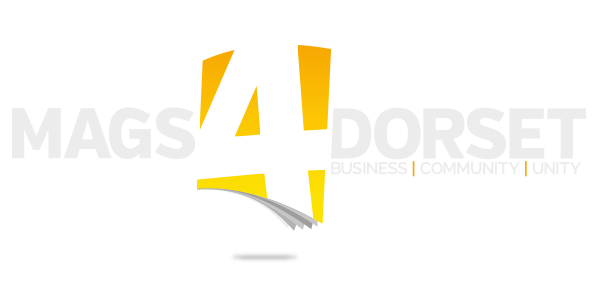 From preliminary ideas sessions, website hosting and maintenance, to getting everything live, we were as involved as we wanted to be, and the product we have is nothing short of outstanding. Couldn’t have asked for a more complete and satisfactory service.